Oral History: 2003-2011, .8 linear feet. 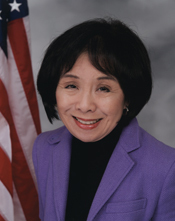 The Asian Pacific Americans in Congress oral history collection contains video interviews conducted by the United States Capitol Historical Society. It documents Asian and Pacific Islander service in Congress, discussing work in the House and Senate, as well as significant historical events that shaped those interviewed. In addition to the interview media, the collection includes: interview transcripts, photographs, correspondence, press releases, and research and production files.